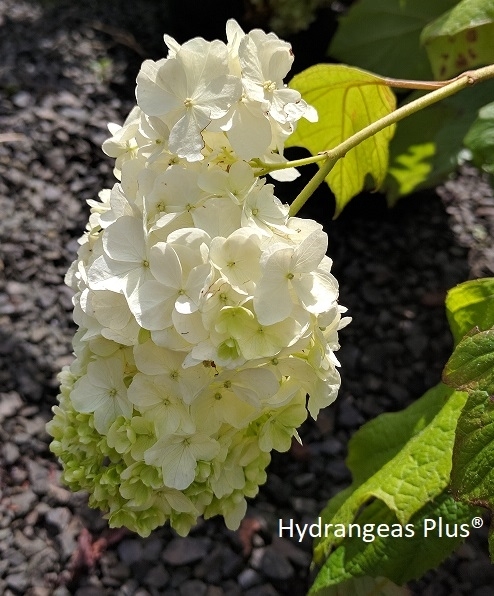 I fell in love with this oakleaf hydrangea! It has taken me years to get the right cultivar and get enough in production to be able to offer. Full blooming panicules are so heavy, the blooms often cascade as a young plant. It will get better with age. The large leaves turn burgundy red in the fall.